"From the outside perspective, travel through the wormhole is equivalent to quantum teleportation using entangled black holes," Jafferis said. This means the direct connection between the black holes is shorter than the wormhole connection—and therefore the wormhole travel is not a shortcut. I see. I will continue using my customary direct connection between black holes for travel, unless the proposed method is significantly cheaper, and there is no hurry so an extra millennium in transit is not a problem. Lol...curved space-time...the parrots' chirp. File as Fiction. Hmmm... so he's claiming that these wormholes were made for crawling. No wonder we haven't seen any aliens, they are stuck. So, if I understand correctly? Wormholes & Black Holes are hypothesized to be different phenomena? I agree with the evidence that inside the periphery pf an Event Horizon all there is? A BH us timeless, never losing energy. As gravity cannot be turned off or be exhausted. Inside the periphery of the Event Horizon? The Laws of Physics are meaningless. The Cosmic Rules & Regulatory authority no longer apply. In this article, it appeared as if those conditions are untrue of the inside of a Wormhole? That Human defined Physics do apply inside a wormhole? That not only can it be entered but also the seemingly implausible possibility of exit. Did I understand these researcher's conclusions correctly? Now this is interesting. 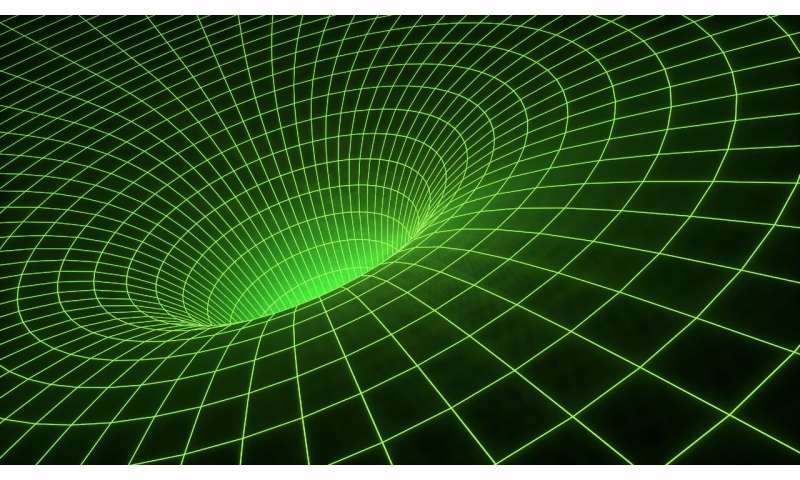 Physicists have been messing with wormholes since they were discovered as a solution to GRT; this is the first time they've been used to hint at new mathematical tools to analyze it. The last big revolution has been the discovery of real physical black holes, culminating in detections of them by gravitational waves, and by direct observation, the first in 2015, and the second this week. Relativity remains strong. There is no such thing as Spacetime, especially not "curved" Spacetime. Only Space itself can be curved - without the nonexistent 'time'. We have gone through this argument before. Since we humans are all merely information hologramlike constructs now, I suppose any mathematical absurdity that can get a grant and be called research is to be taken very seriously for that reason. Just about every time a good work=around appears, then some pathoskeptik steps in and tries to kill the dream, as if they get a perverse sexual pleasure in killing people's hope. Bet most of those extreme pessimists were turned down by women more times than a worn out army blanket.